Welding is a very advanced trade that demands not only skill, but training, awareness, and precaution. Even with all of these qualifications, there is still a large possibility for accidents to occur. It is unfortunate when these incidents occur, but even more so when they could have been prevented. High risk industries that commonly use welding are those involving pipe construction. Large construction companies involved in the rebuilding, improvement, and development of major projects such as pipelines and subways are often tasked with the difficult job of completing welds inside large tubes. This past October 2013, while reconstructing the major subway Metro Line in Washington, one worker was killed, and two others were injured. The accident occurred because of an explosion, causing a fire to break out in a tunnel, where some of the major reconstruction was occurring. In June 2011 three major manufacturers were fined by the Occupational Safety and Health Review Commission for up to 25 violations concerning serious safety violations, for a total of $88, 000. Welding accidents can occur in any context, in any environment. From a large scale operation, to a small shop job, there should never be a compromise in safety. There are always risks when dealing with gas, hot metals, and complex components, and any steps that can be made to reduce these risks, and potentially save a life should be taken. How much money does it cost to save a life? With the involvement of welding cameras, many lives can be saved, and more accidents can be avoided. By taking operators and welding engineers away from dangerous environments a small adjustment can make a large improvement. 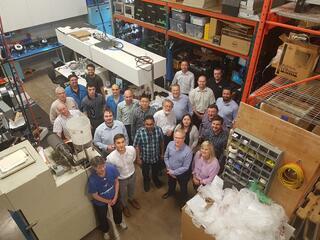 Xiris Automation Inc. produces welding cameras that allow for monitoring welds, and increased safety. All without sacrificing weld quality. The Xiris XVC-O specializes in monitoring Open Arc Welding, and the WI2000p Inspection System specializes in tube and pipe welding inspection. With the inclusion of ether of these devices many injuries can be avoided, production and efficiency in manufacturing lines can increase, and the risk of a fatal welding injury occurring can be severely reduces. 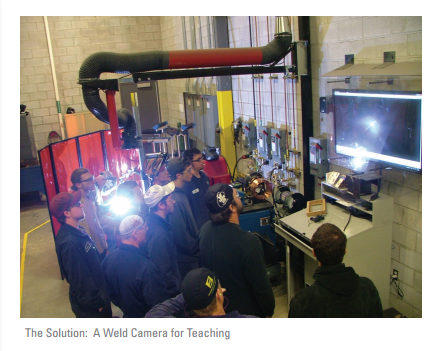 To learn more about welding cameras, machine vision, and examples of weld videos please visit our website.